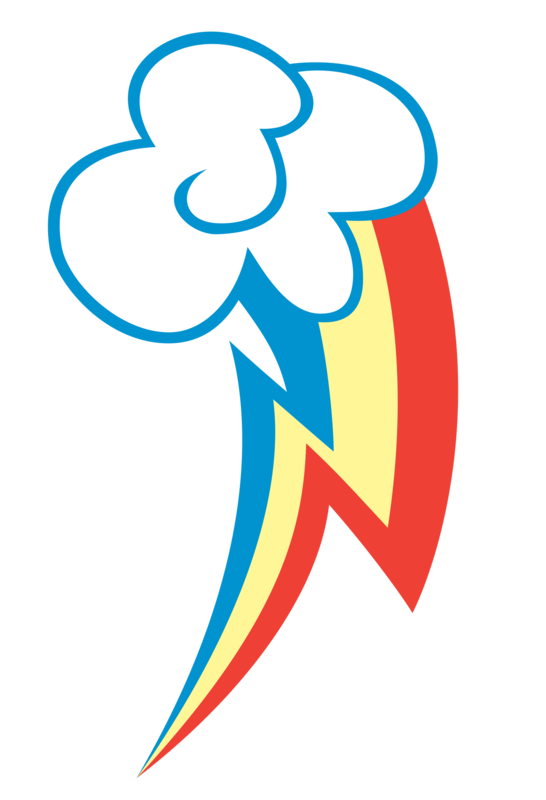 A cutie mark is a representation of a pony's special talents, and Rainbow Dash's represents a phenomenal talent for athletics. Considering the slowly growing fame of her and her friends, it can also serve as a boost to her social status. This effect grants Athletics +6. This effect grants Social +3. It's a twelve-gauge, double-barreled Remington. S-Mart's top of the line. You can find this in the sporting goods department. That's right, this sweet baby was made in Grand Rapids, Michigan. Retails for about $109.95. It's got a walnut stock, cobalt-blue steel, and a hair trigger. That's right... shop smart: shop S-Mart... You got that? This effect grants Attack +4. This effect grants Damage +10. This hawk skull grants the user much more awareness of their surroundings. This effect grants Perception +6. Increase Power Effects with a Range of 4 or higher by 8 Spaces. This highly precise scope allows the wielder to zoom in on a subject and attack from a long distance away. Increase Primary Power Pool by 30 points. Add 2 to all attacks. Optional Critical Hit table roll increased by 2. Stitched from the hides of various animals, this belt gives you a beastly athletics. This effect grants Athletics +10. Using every once of concentration you can muster you focus on the Athletic task at hand. Crappy rusted wire for picking crappy rusted locks. This cherry wood scholar's desk is a fine textured hardwood with a prominent figure and a beautiful, warm pink color. Seven drawers, including two file drawers (one locking), provides ample storage space while the precision ball-bearing guides and lacquered drawer boxes are not only strong and durable, but also make opening and closing the drawers smooth and easy. Two dictation trays gives you added writing space while the combination of pigeonholes and drawers under the top gives you plenty of space for storing papers and other assorted items to help keep you organized. Advanced Mystic Items can be created using this great quality scholar's desk. Grants ability to craft Advanced Fyxt Iitems that have effects which a Mystic has access to. This fine mithril blade is the definition of precision. Clean lines and masterful craftsmanship are present on every inch of this mighty weapon. This effect grants a bonus of Healing +55. This effect will Move an ally target 5 spaces. This effect will Move an enemy target 5 spaces. Increase Primary Power Pool by 50 points. High temper titanium plates cover the outside. Though these plates are very thin and light they offer a remarkable amount of protection. This effect will modify Hit Points +50. This effect will grant Resistance +20. Add 2 to all Defenses. This amazing item is both a banner and a cloak. When it is small it attaches to Dune’s armor at the shoulders giving him a long almost black deep purple cloak with gold trim along the edges. The same intricate pattern that is one his helm and armor is matched on this cloak. As it makes its way towards the center of the cloak it fades away. The symbol of Dune & Company is emblazoned on the back. When Dune wants to make Dune & Company’s presence know he can detach the cloak and bracket commanding it to double in size to become a 15 foot tall banner for the battlefield. It can be planted in the ground near where Dune & Company are battling to inspire them to further glory. Either on his back or planted near him Dune can summon forth several amazing Powers to aid Dune & Company. This effect will create an object of a weight of 10 or less. Seeing the Banner of Dune and Company, fear and despair sink into the enemy leader greatly reducing their Defenses and lowering their Speed. With encouraging words Dune helps an ally shake off a evil effect from the enemy. This power removes a Power effect that is hindering an ally of up to 110 Power Points. Calling out to bolster his allies Dune rallies his friends to greater deeds in battle! Calling forth powerful magic of the gods Dune calls the heroic spirits that have died near him back to the battle to finish what they have started.